This is a traditional mangalorean recipe. 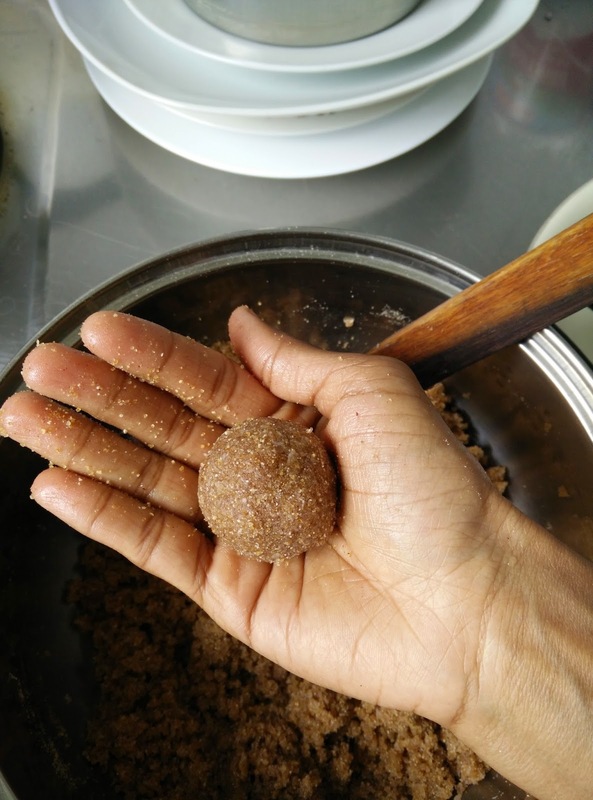 Without giving any twist or variation sharing the same old recipe with you all.My grandmother used to tell me about this laddu/ sweet balls. 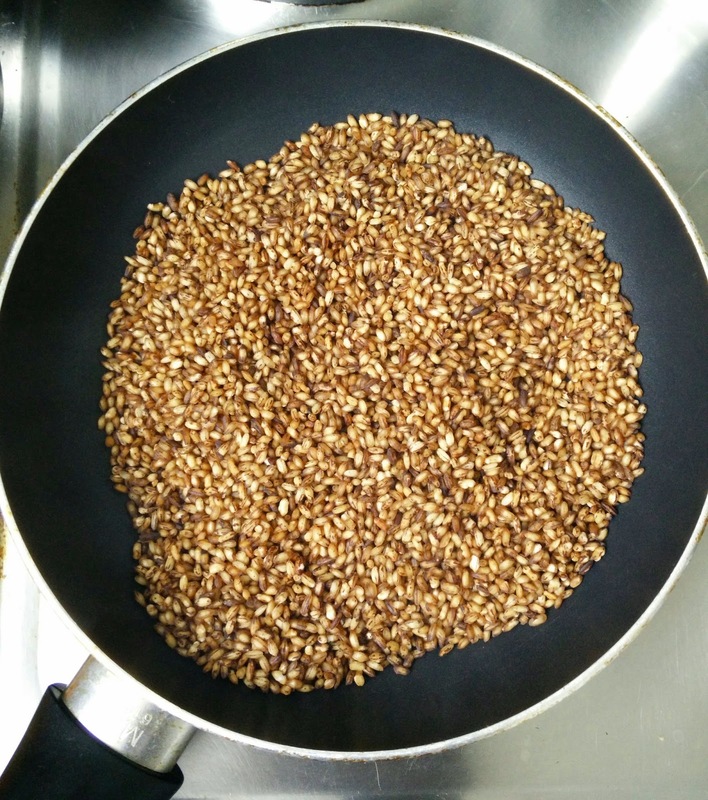 Its so nutritious as it contains brown rice and jaggery. 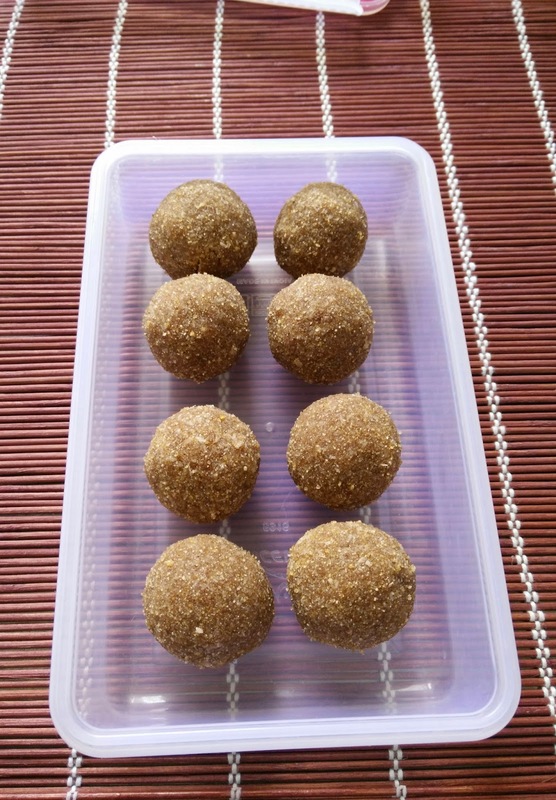 All you need is just 5 ingredients ....brown rice,jaggery, coconut flakes, ghee and cardamom.These sweet balls are very healthy as it doesn't contain much of ghee unlike other laddus(sweet balls). You can even skip the ghee if you prepare a right consistency jaggery syrup during your preparation.Using cardamom in any Indian dessert along with jaggery and coconut turns the dessert very tasty and delicious...Isn't it ? . 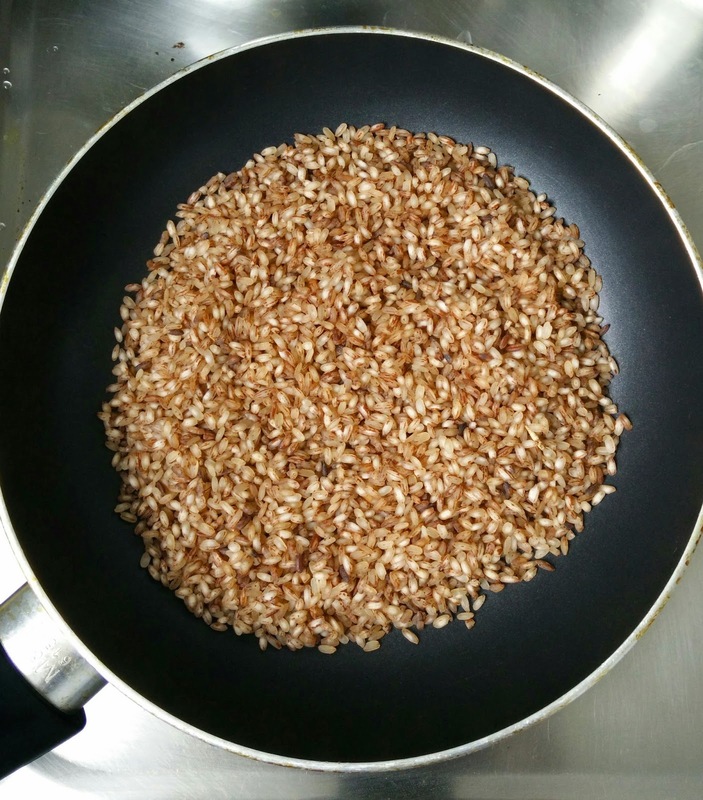 Heat thick bottomed pan.Add brown rice and roast in a low/medium flame. You should stop roasting when you get a nice aroma.Another way of checking is, rice changes its color and puffs up little bit, that's when you should stop roasting. It took around 13 mins for me. Transfer the roasted rice to a large plate and let it cool. 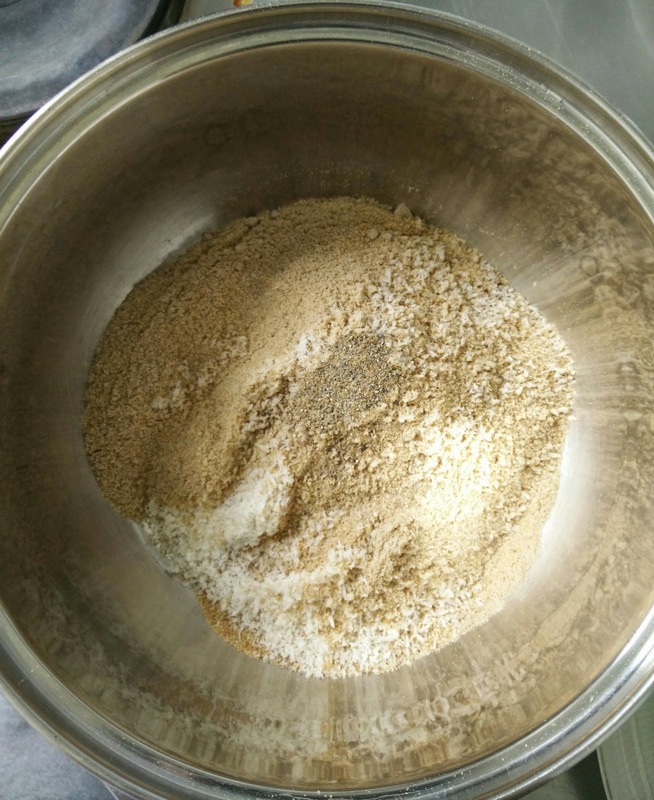 After it completely cools down , grind it into a fine powder. 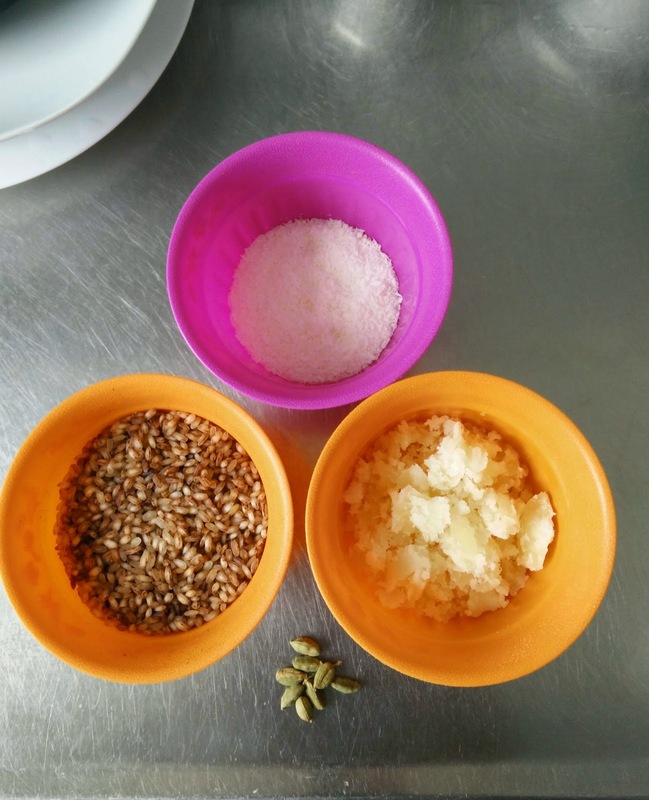 Transfer the ground powder into a large mixing bowl.Now add cardamom powder ,dry coconut flakes to the bowl and mix everything really well. If you are using fresh grated coconut, dry roast the same for about 2 minutes and add it. 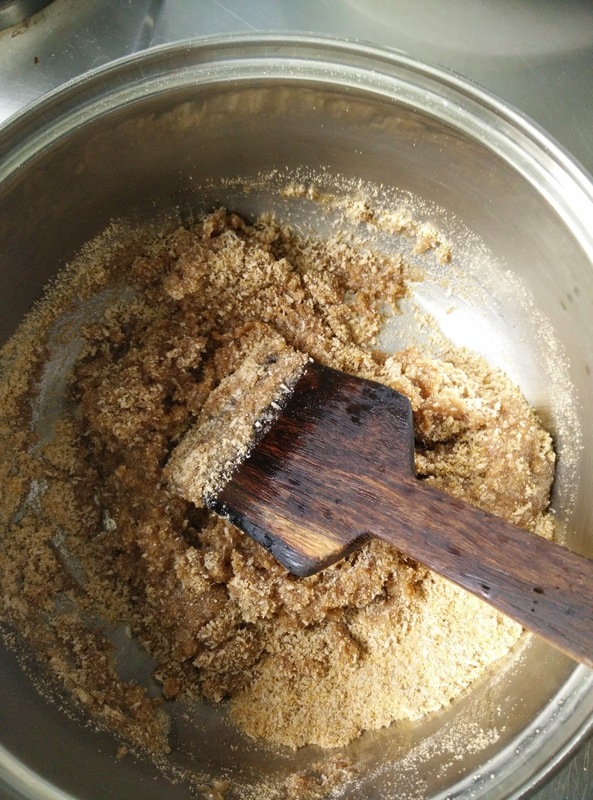 Time to prepare the jaggery syrup ....., This is very important step and make sure that you prepare a right consistency jaggery syrup. 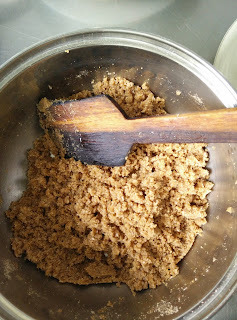 Keeping the flame in medium , to the same pan add jaggery and half cup of water. 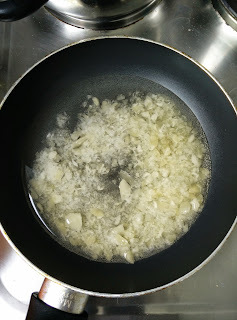 Initially jagerry gets dissolved in water and it starts frothing. Once it stops frothing you should switch off the flame. (It will take less than 4 minutes).Over boiling or making the sugar syrup thick spoils the laddus. You should get a half string consistency level(very thin jaggery syrup). Now pour the jaggery syrup on top of the mixture.Mix it well using a spatula. Start preparing laddus when it is warm. At this stage you can grease your palm with little ghee if you are finding it very sticky and not able to prepare balls. If you can prepare without ghee that's very good and you end up preparing a " Vegan Dessert" !! Store it in a air tight container and consume within 4-5 days . 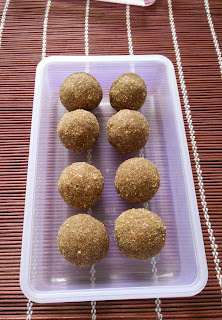 You can add dry nuts like almonds, cashews etc in this recipe. Grind these nuts into a coarse/fine powder and add. 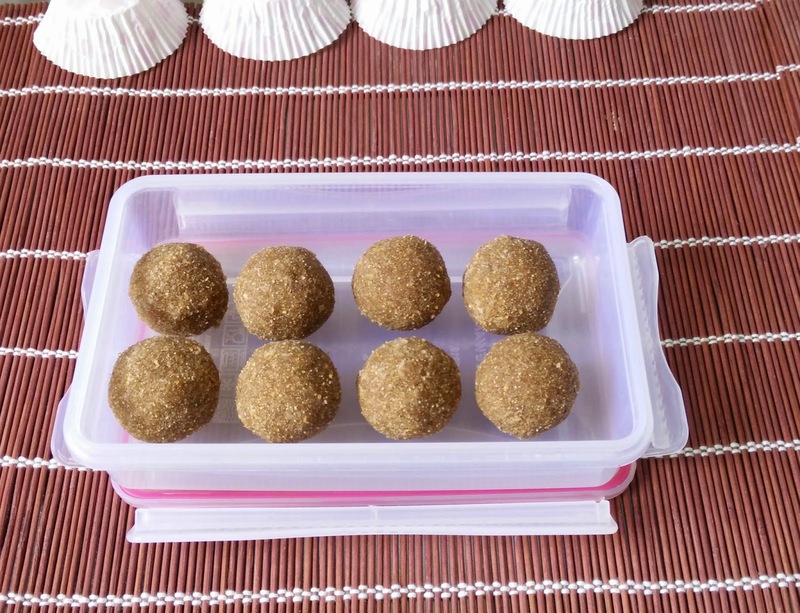 If you skip coconut, laddus stay fresh for little longer. But coconut gives a good taste to these laddus. 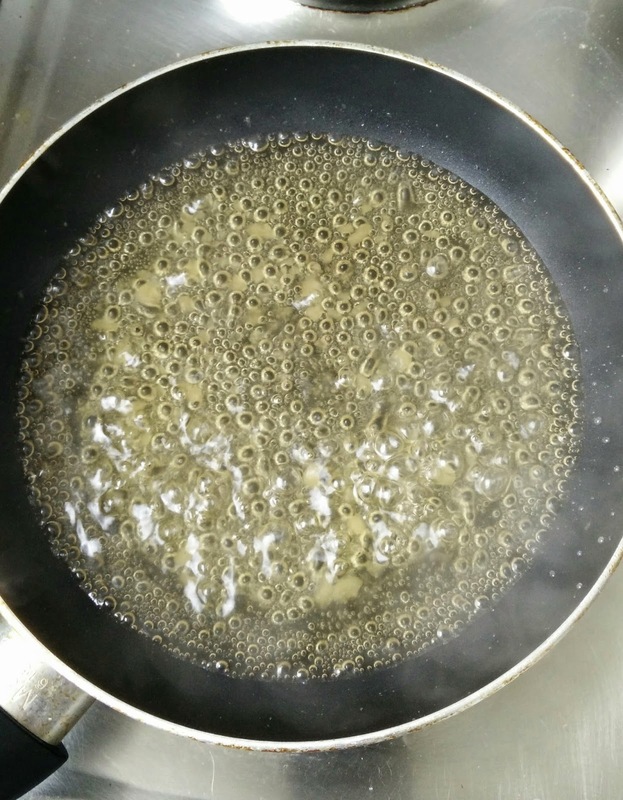 You have to be extra careful when you prepare the jaggery syrup. 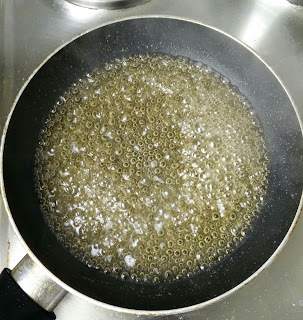 I over boiled the syrup when I tried first time, later final mixture was so dry and couldn't prepare laddus. Try using same amount of water as jaggery.In other words ,If you use 1/2 cup of jaggery then use 1/2 cup of water.Like mentioned above , As soon as it stops frothing, switch off the flame.